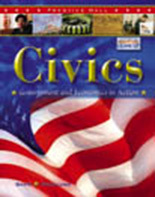 (Middle School & High School) This high-impact program offers students a strong introduction to government, citizenship, and the American economic and legal systems. 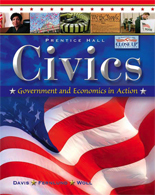 An accessible narrative and compelling design work hand-in-hand with interactive technology, study guides, and activity-based resources to motivate students to actively participate in government. Expanded economics coverage, research-based readng instruction, and new chapter assessment tools ensure content mastery for all students.